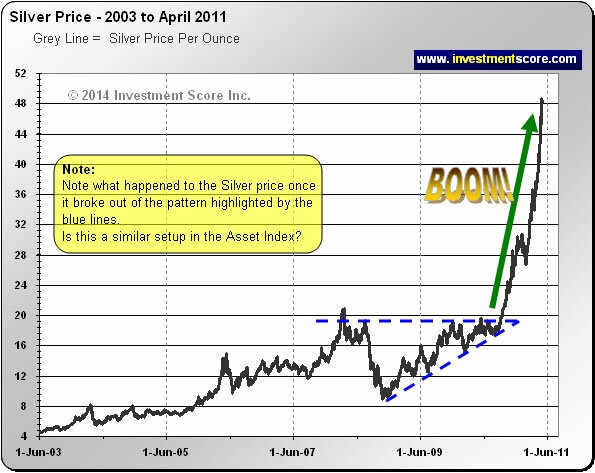 Silver Price, Asset Boom and Inflation Ahead? The "price" of anything is a measurement of something just as a "mile" is a measurement of something. A mile measures distance, a "gallon" measures volume and a "pound" measures weight. But because the actual "value" of a currency can fluctuate, the "price" of the food in the grocery store to the "price" of a share of a stock exchange can move up and down without a change in value of the item itself. So how does this understanding help us with investing? If we can get a sense of what is happening with the value of the measuring stick, dollars, then we can invest in assets that benefit from currencies that are strengthening or weakening. 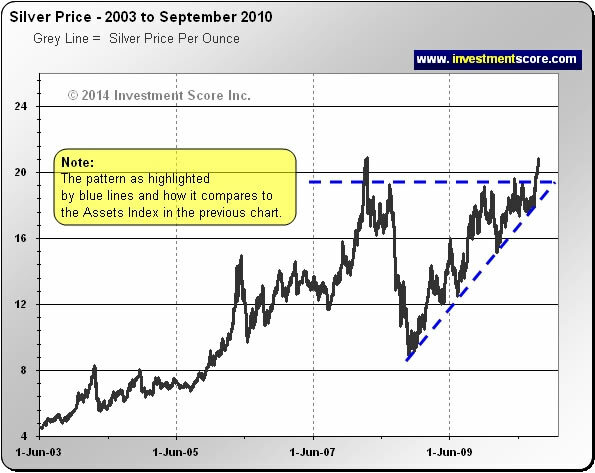 Note above how the price of silver, back in 2011, looked very similar to the setup of the first chart that we showed you. Look below to see what happened when silver eventually broke out of that pattern. 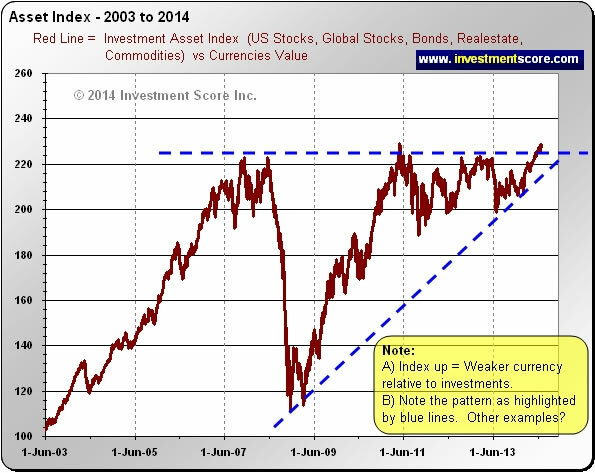 Should the Investment Asset Index break higher, we expect the effects of inflation to become the new dominating theme where assets and prices in general head higher. If currencies in general are losing purchasing power then we believe that assets such as Silver and Gold will be fantastic investments to be positioned in. To learn more about our unique insights and to subscribe to our paid or free newsletter please visit us at www.investmentscore.com.